Akash Ambani Shloka Mehta's Mumbai Reception Party : #AliaBhatt - #RanbirKapoor, Malaika Arora - Arjun Kapoor, #VarunDhawan, and Natasha made sure that they distract media by not coming together. Watch the video to know more about the same. 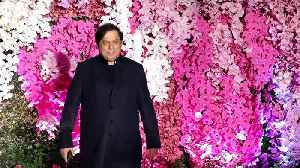 #AkashAmbani Shloka Mehta's MUMBAI Reception Party: Varun Dhawan's dad #DavidDhawan angry on media when a cameraperson tried tp tease Varun's girlfriend #NatashaDalal. 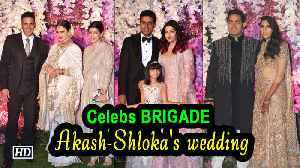 Akash Ambani Shloka Mehta's MUMBAI Reception Party : From #AishwaryaRaiBachchan to #ShilpaShetty, #MalaikaArora, Rekha, Mira Rajput, Sonali Bendre these top Bollywood actresses arrive at their stylish..